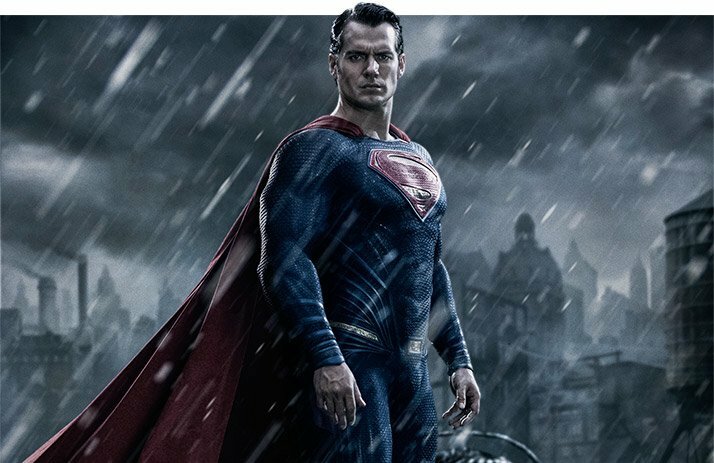 Superman is synonymous with his iconic physique, so Henry Cavill had big red boots to fill. Here's how he built his physique to make it the most heroic look yet! Box-office dollars have traditionally been Superman's kryptonite. Well, that is until Henry Cavill muscled-up the franchise's bank balance when "Superman: Man of Steel" returned its highest-grossing figures yet. Now, he's taken his training to the next level for "Superman v Batman: Dawn of Justice," which is DC's epic answer to Marvel's "The Avengers." In a pantheon of comic book superheroes, Superman is easily the most recognizable, which is why Cavill leaped at the opportunity to play such an iconic character. Here's how he trained, ate, and lived to prepare for the role of a lifetime. Cavill leaped at the opportunity to play Superman—an iconic, recognizable character. Before signing with the Superman franchise, Cavill was actually supposed to play leading roles in the James Bond, Twilight, and Harry Potter films, but each fell through. 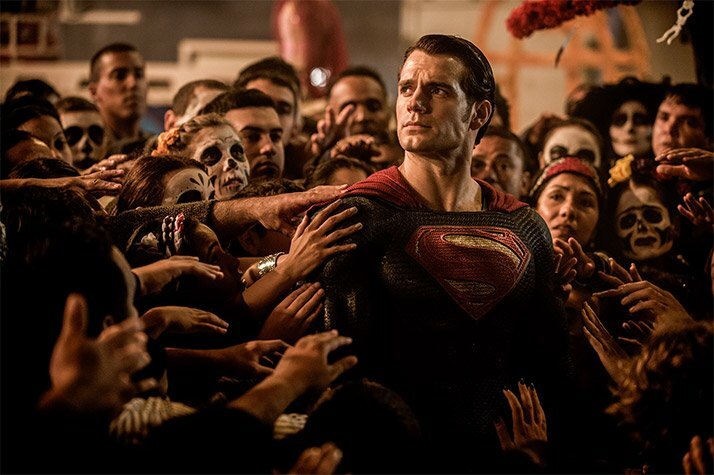 It was a fortunate turn of events, because Cavill has not only brought some authenticity to the part of the action hero, he's also sexed up the chiseled-jawed superhero in what could prove to be the most successful Superman era. This character's physique is nothing short of perfect, so, when he was cast, that's exactly what Cavill aimed for: perfection. Women must want him and men must want to look like him, which meant the training element of his preparation for the movie was essential for the franchise's success. But it was a careful juggling act. "The training for 'Superman v Batman: Dawn of Justice' was tricky, because I only had two weeks before filming started after finishing 'The Man from U.N.C.L.E,'" he explains. "So, while shooting 'The Man from U.N.C.L.E,' I had to keep on top of my training. Cavill made sure to perfect Superman's physique. Men had to want to be like him, and women had to want him. "I kept up my weight routine, cardio, mobility, and stunt training. I also had to maintain a certain weight, and I was especially concerned about staying injury-free. It was very much about working smart and not overdoing it." "I was fortunate because I had Gym Jones in my corner for 'Man of Steel' and then 'Superman v Batman.' Those guys are the best at what they do, and I couldn't have asked for better trainers." 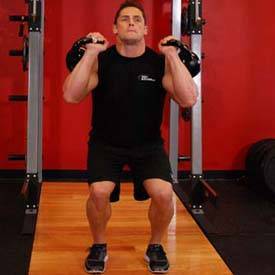 Rest 1-2 minutes, and repeat for 3-5 sets total. 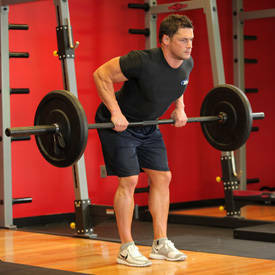 "This could be a finishing hypertrophy series after some heavy doubles or singles, again with squats. 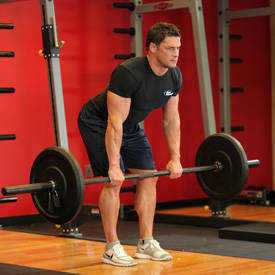 I don't like it for deadlifts because of the greater risk." 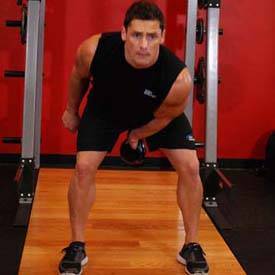 "Henry performed these during the hypertrophy phase. 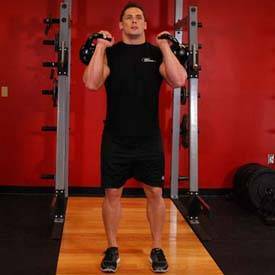 We did it with the seated press using dumbbells as well." While Superman is a loner, Cavill knew he had to enlist the help of a few allies, including master trainer Mark Twight from Gym Jones. "I definitely increased the weight I use on my compound lifts while also increasing my endurance for bodyweight work," explains Cavill. "My workout was very similar to 'Man of Steel,' but we did add a few different squats, cleans, and barbell moves. My bodyweight strength has definitely increased. My Superman program consists of four phases: preparation, bulking, leaning out, and maintenance. 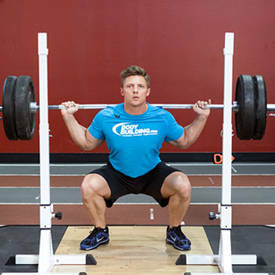 "The bulking part focused on Olympic weightlifting movements, but they were done in a circuit, so that helped with my general fitness and endurance. 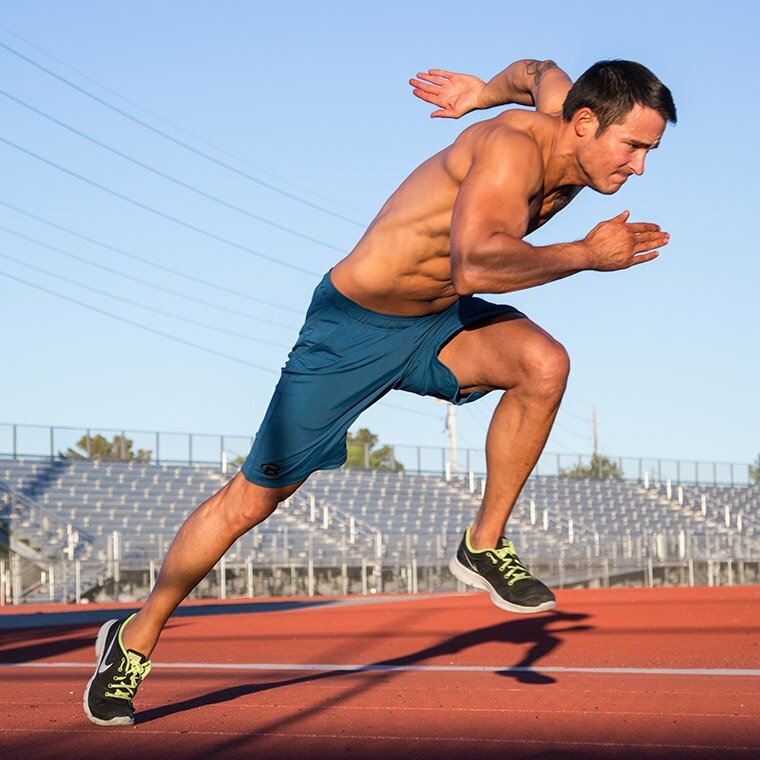 I also did a lot of cardio and running, which heled my overall fitness." If you saw Cavill walking down the street prior to the filming of "Superman v Batman," you certainly wouldn't scoff at his physique. However, it was the foundations he set prior to filming that allowed him to get jacked for the sequel. "I did a lot of functional workouts," he explained. "It was a lots of kettlebells, different types of squats, sandbag stuff, goblet squats, Olympic lifts, and sled pulls. 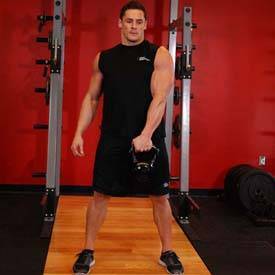 We would train the complete body, do dumbbell stuff, bodyweight training, power cleans, deadlifts, and push-presses." Cavill is acutely aware that the world has been chomping at the bit to watch him don the red cape a second time in "Superman v Batman," which hit theaters on March 26. The 32-year-old Brit stars alongside Ben Affleck as Batman, and with Justice League spinoffs looming, Superman is Cavill's for at least the next five years. This is probably why he's kicked his training up a notch and set out to look more ripped, muscular, and powerful—all of which was achieved that with Twight's help. Superman's physique was built on many functional workouts, Olympics lifts, and sandbags and kettlebell training. "Working with Henry brought a lot of bodybuilding load, set, rest, and rep structures into the training, especially during the bulking period," explains Twight. 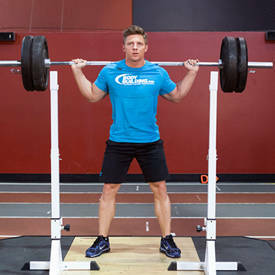 "We do a lot of 5-3-2 cluster sets, 10 sets of 10 reps, or 4 sets of 15 reps—anything to push him." Lifting is only one part of the equation for Cavill. Nutrition plays a crucial supporting role. 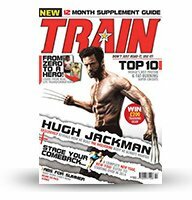 "For supplementation, I take multivitamins, essential fatty acids with Udo's Oil, probiotics, and magnesium," explains Cavill. "Closing in on the shoot, I'd limit my carbs and cut my calories. When possible, I would do two-a-day workout sessions and get 10 hours of sleep." Upon rising, Cavill trained for an hour every day, which enabled him to set a solid foundation to build an out-of-this-world physique. "The training aspect of it is so helpful when you're playing someone like Superman," he explains. "Obviously, the physicality is a huge part of it. But the mental aspect is equally as important," says Cavill. "Working hard and seeing results really affects your confidence positively, and that helped greatly. 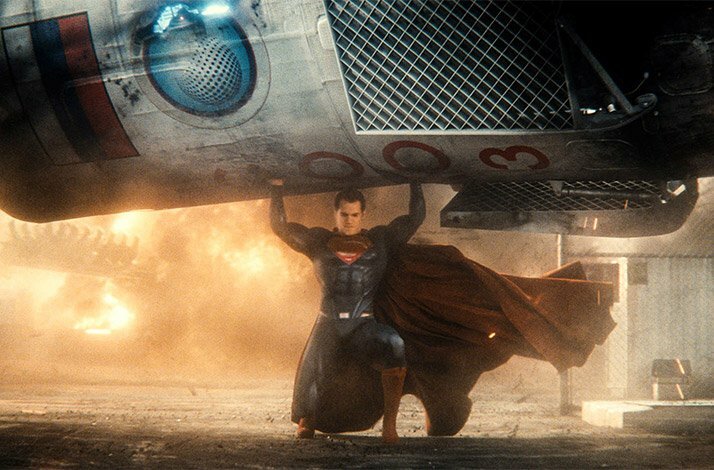 'Man of Steel' was more of a physical reinvention, while this was more of a tweak and some maintenance." If you want to look like Superman, you'll have to lift like Superman. Do it with this routine inspired by Cavill's training for the film. Physical strength was a huge part of Cavill's training, but the mental aspect was equally important. 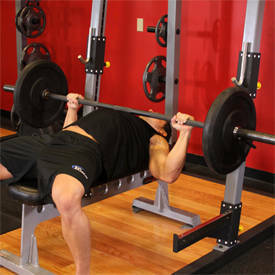 Repeat as a circuit until you reach 10,000 lbs., or perform 15 heavy singles of each movement in straight sets. 10 sprints of 50 yards, resting 60 sec. between sprints. Circuit: AMRAP in 10 min. using 50-lb. dumbbells. Circuit: 5 rounds. Rest 2 min. between rounds. Circuit: AMRAP in 9 min. Circuit: 1 round, resting 1 min. between exercises. max reps in 1 min.